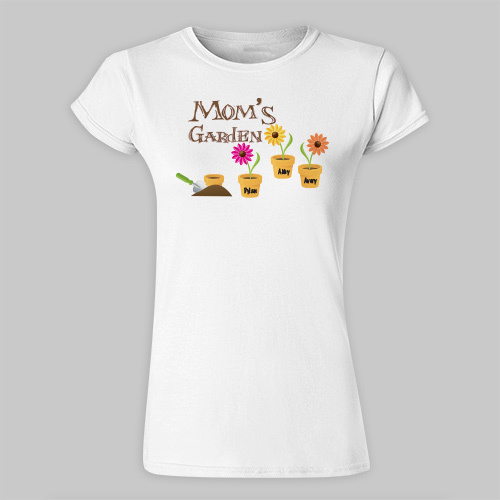 Spring will be in the air when you give this beautifully Personalized Garden Fitted T-shirt to your one & only Grandma, Mom, Aunt or Nana. An absolutely wonderful personalized gift for Mother's Day & even Grandparents Day. Your Custom Printed T-Shirt is available on our premium 100% soft-style cotton, Personalized Women's Fitted T-Shirt, machine washable in adult sizes S-2XL. Please Note: 3XL is available in Black and White Only. Shirt is 4.5 oz, pre-shrunk, double-needle stitched sleeve and bottom hemmed. Includes FREE Personalization. Personalize your Garden T-shirt with any title and up to 30 names. A great personalized Spring gift for anyone with a green thumb! This is a great shirt!! I just love it! My grandkids like to find their flower on it! Great stylish t-shirt for our Grandma! It may be too small though, but won't know until I send it overseas so she can try it. Recommend sizing up as it says. I got this for my mom and she loved it! 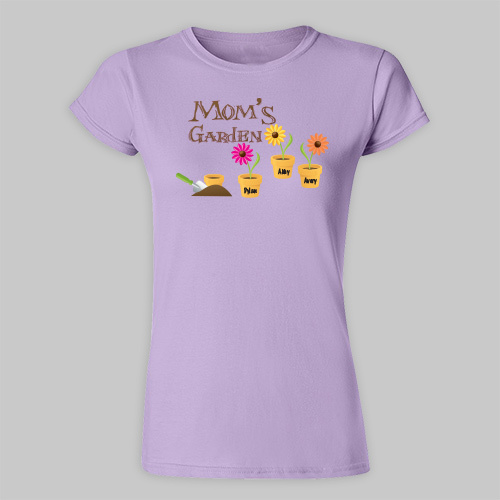 Be sure to also check out more custom gifts for Springtime.